An innovative multidisciplinary aquaculture project led by NUI Galway and Athlone Institute of Technology is set to improve production efficiencies and management of farmed fish at several inland freshwater sites. The project ‘ECOAQUA’ has received €348,781 in funding under the European Maritime Fisheries Fund (EMFF), administered by Bord Iascaigh Mhara, through the Knowledge Gateway Scheme, on behalf of the Department of Agriculture, Food and the Marine. The output of this project will include new information, new methods, and increased awareness. It has built on capacity for, and developed new partnerships focused on, research and innovation in environment and health. 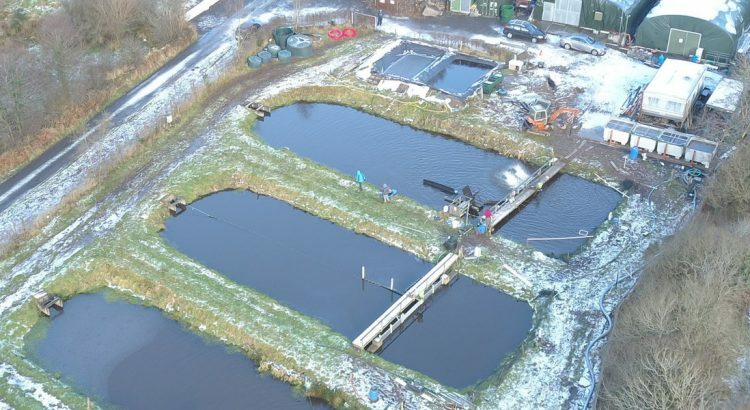 Analysing the environmental and energy performance of three freshwater aquaculture sites by extensive sampling and remote online monitoring of water parameters. Facilitating the re-use of the treated water, thereby reducing both the volumes of extracted and discharged waters. Enabling the industry to meet stringent environmental regulation while increasing production in a sustainable and cost-effective manner. Piloting technological innovations with industry to ensure the research is easily and rapidly transferrable to the aquaculture sector. Ensuring technological innovations and research results can be leveraged to enable the sustainable growth of this high-potential sector. Enable the industry to leverage the scientific outputs from the project to communicate with government, policymakers and regulators and the public. For further information about the project contact Mr Alan Kennedy, Project Manager, EcoAqua oon michaelalan.kennedy@nuigalway.ie. The Department of Agriculture Food and the Marine, recently published the National Strategic Plan for Sustainable Aquaculture Development (DAFM, 2015). The primary aim of this plan is to sustainably grow production of the Irish aquaculture sector to 45,000 tonnes per annum across all species by 2020 (DAFM, 2015) compared to 40,140 tonnes in 2015. 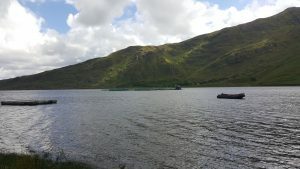 Marine Harvest (Lough Altan) – traditional flow through tank based salmon smolt production site with drum filters and polymerized belt filter for treatment of effluent water. 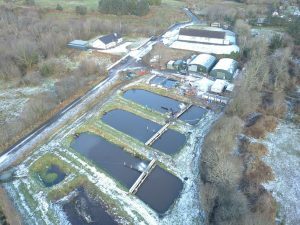 Marine Harvest (Pettigo) – traditional flow through tank based salmon smolt production site with drum filters for treatment of effluent water. Keywater – Pill-pond based farm utilising a full recirculation (approximately 5% make up water per day) system to cultivate organic perch. IDAS – group of four pond based flow through farms. The grant is administered by Bord Iascaigh Mhara on behalf of the Department of Agriculture, Food and the Marine. This project is co-financed by Irelands EU Structural Fund Programme (ESIP 2014 – 2020) and the European Maritime and Fisheries Fund.